Or until the next time the horses are watered. 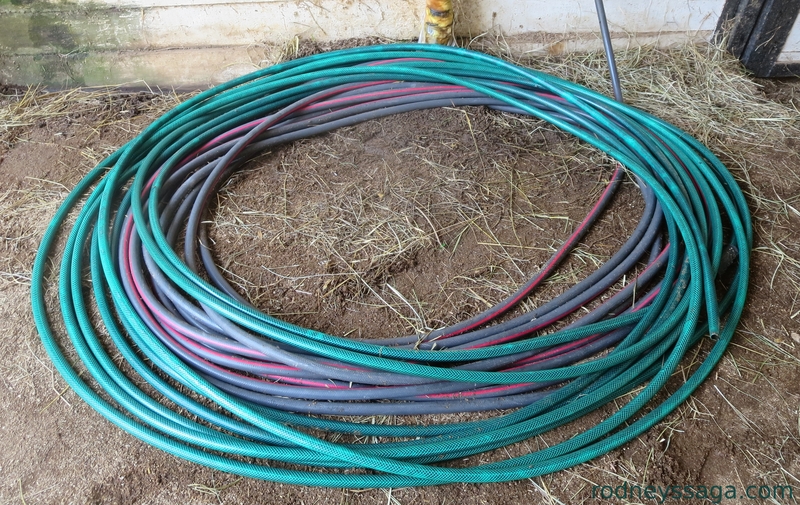 If the sight of a well-coiled hose makes you sigh with happiness, you might be a Pony Club graduate. When I was a wee barn rat, one of the worst jobs in summer was filling all the water buckets at lunch time. Now, this was a barn that washed buckets out twice a year, and cleaned each horses stall twice a week and cleaned tack never, so not exactly Pony Club. But, there was nothing so satisfying as finishing that job and having thirty full buckets of water.